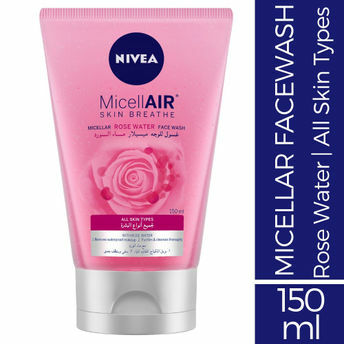 NIVEA MicellAIR Skin Breathe micellar cleansing rose water face wash is the perfect addition to your skin care routine. 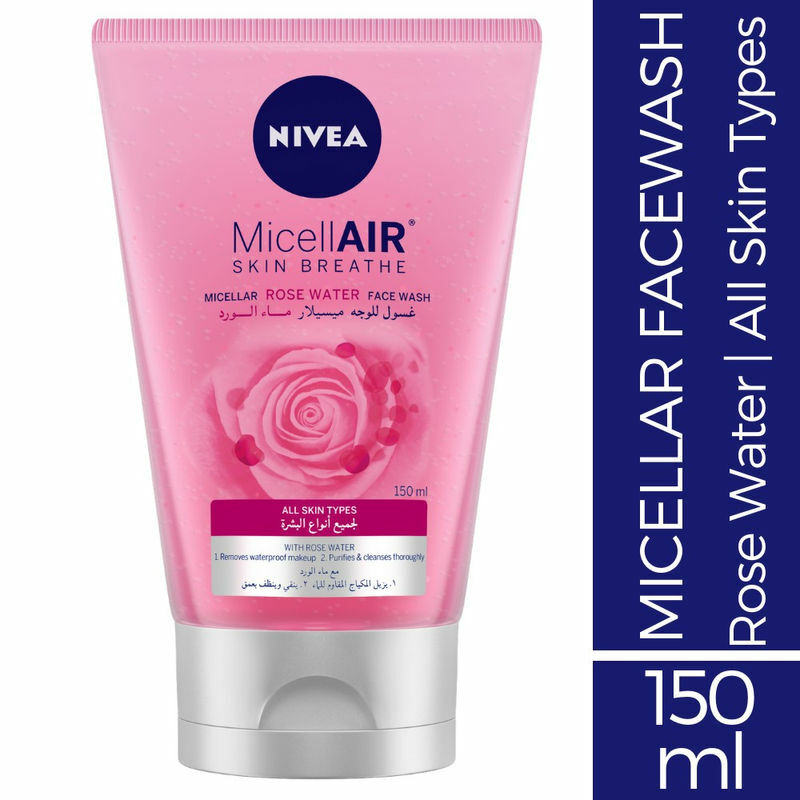 Suitable for all skin types, this wash gel with rose water uses Micellar technology for an effective wash. The molecules in the gel called micelles act as a magnet, effectively removing makeup and impurities. The formula with rose water gently refreshes the skin. Thanks to this, the gel effectively and gently cleanses the face and lips. Result: Perfectly clean, soft and smooth skin. No residue and greasy film, so your skin looks healthy and can breathe.